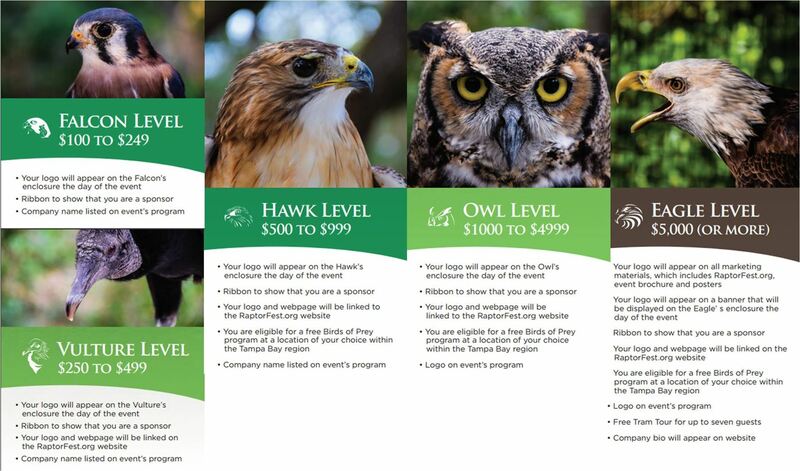 Raptor Fest reaches approximately 5,000 people and is a unique opportunity to support environmental education at Boyd Hill Nature Preserve and raise awareness about the importance of birds of prey in our world. Our raptors are educational ambassadors who inspire a connection to the environment. Your contributions will provide enhanced enrichment for these ambassadors and further our environmental education efforts. To become a sponsor, please visit www.friendsofboydhill.org/donate or email friendsofboydhill@gmail.com. Want to support RaptorFest but unable to provide cash? We also accept donations for our silent auction! Click here to find out more.